It’s back by popular demand. The Book of Mormon, which played a record-breaking run in the past, returns to Austin on April 17-22, 2018 at Bass Concert Hall, presented by Broadway in Austin and we can’t wait. 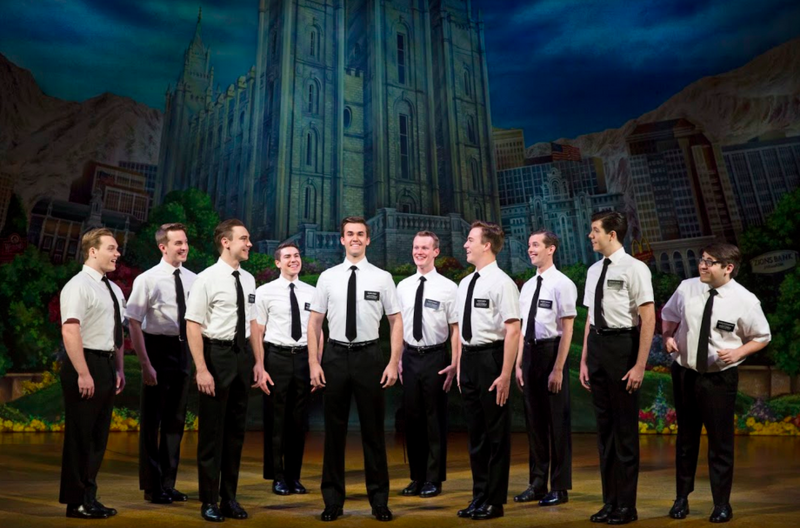 Featuring a book, music and lyrics created by legendary creatives Trey Parker, Robert Lopez and Matt Stone, The Book of Mormon musical sensation took the world by storm and won a slew of Tony Awards in its first run. Now is your chance to see it again, so don’t miss it. You may know Trey Parker and Matt Stone as creators of the outrageous animated TV show South Park, and Robert Lopez as the co-creator of the hit musical comedy Avenue Q. Casey Nicholaw choreographer, also worked on Monty Python’s Spamalot and The Drowsy Chaperone. Guaranteed to be hilariously entertaining, and surely the subject of many conversations to come, The Book of Mormon is full of funny, touching, and surprisingly delicate moments. Honored by a myriad of awards, The Book of Mormon is the winner of nine Tony Awards, including Best Musical, Best Score (Trey Parker, Robert Lopez, Matt Stone), Best Book (Trey Parker, Robert Lopez, Matt Stone), Best Direction (Casey Nicholaw, Trey Parker), Best Featured Actress (Nikki M. James), Best Scenic Design (Scott Pask), Best Lighting Design (Brian MacDevitt), Best Sound Design (Brian Ronan) and Best Orchestrations (Larry Hochman, Stephen Oremus); the New York Drama Critics Circle Award for Best Musical; five Drama Desk Awards including Best Musical, the 2011 Grammy Award for Best Musical Theater Album; four Outer Critics Circle Awards, including Best Musical, and the Drama League Award for Best Musical. Tickets are available by visiting BroadwayInAustin.com or at the Bass Concert Hall box office, 2350 Robert Dedman Drive, or by calling 512.477-6060.